374 On a rainy day in November of '09. 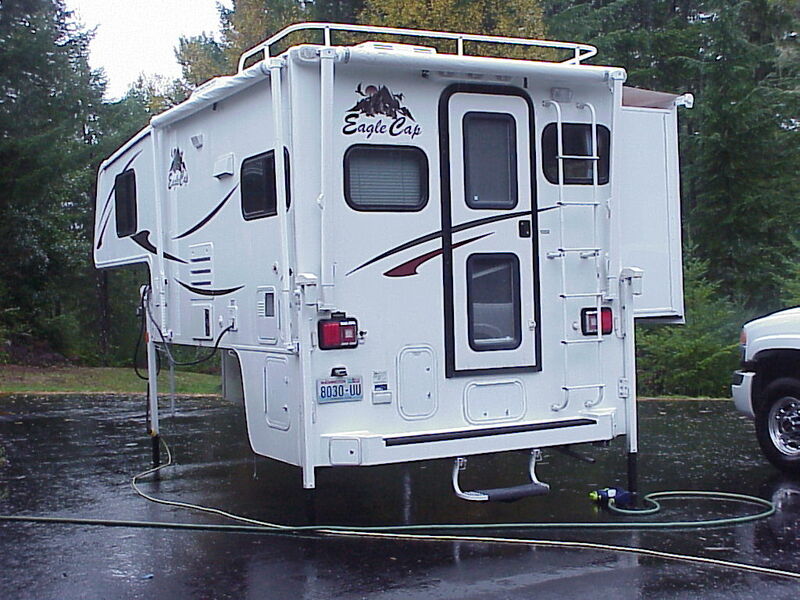 Note the camper graphics. Now checkout the trailer in the next photo. The folks at Eagle Cap campers in LaGrand Oregon GAVE us matching swooshes for the toy box. Right after this picture was taken, the new dually jack brackets arrived and are installed.